"In each other's presence we became mute, would walk in silence side by side along the road to San Giovanni. To my father's mind, words must serve as confirmations of things, and as signs of possession; to mine, they were foretastes of things barely glimpsed, not possessed, presumed." -from The Road to San Giovanni. 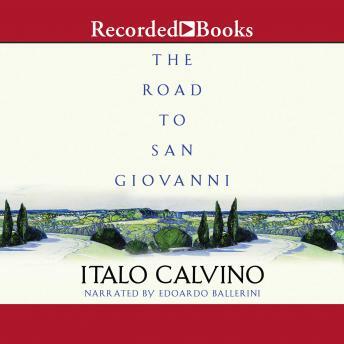 In these autobiographical essays, published after Italo Calvino's death, the intellectually vibrant writer not only reflects on his own past, but also inquires into the very workings of memory itself. From the title essay's lyrical evocation of the author's relationship with his father, and a charming account of teenage years spent in the glow of the cinema screen, to Calvino's reminiscences of his experiences in the Italian Resistance during World War II and of his years in Paris, to his declaration of purpose as a writer in the final essay's visionary fragments, these five "memory exercises" are heartfelt, affecting, and wise.